It has a fleet of recently upgraded Il-38s in service that should be fine for the next decade or so. Or are you one of those kids that see the P-8 and want a Russian equivalent to crow about on the internet? GarryB wrote: It has a fleet of recently upgraded Il-38s in service that should be fine for the next decade or so. Russia has a small fleet of maritime patrol aircrafts. Because those are complement only the sensor network. 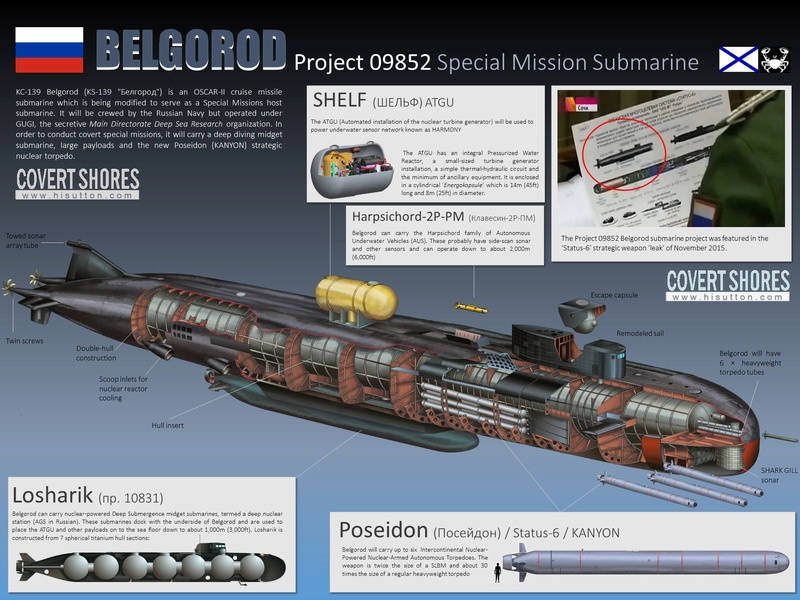 Article on the changes to the Belgorod special sub. possible military application as part of russian coastal naval sosus network-- mobile gap filler , submarine awacs. For underwater oil deposit seismic bla bla you don't need micro nuclear reactor for power supply, underwater cranes and heavy duty transport equipment. The modified oscar is NOT an "awacs" , the normal submarines has that capability. That is a heavy duty transport equipment. The small cranes transport the nuclear power plant to site, and the oscar carry the sonar/cables to site, and housing the personnel . And all of this required only for places, that has all year long ice cover. For all other places they can use surface ships to do the lifting / installation. Means that this kind of equipment can be seen under the north pole, on the lomonosov ridge. This is the reason why russia doesn't has maritime patrol aircraft - they don't need them. This system is way superior compared to an aircraft based system. The kilos are the fist of the system, they carry the torpedoes to the launch zone, and they receiving the targetingdate from it. Is that model purported to be the unfinished Pr.949A Belgorod? Rather than a carrier for "Status-6" she is intended for arctic basin deep seismic survey? On second look, the tower is the wrong shape and has a set of planes, and the stern is completely different... I guess its just a concept? 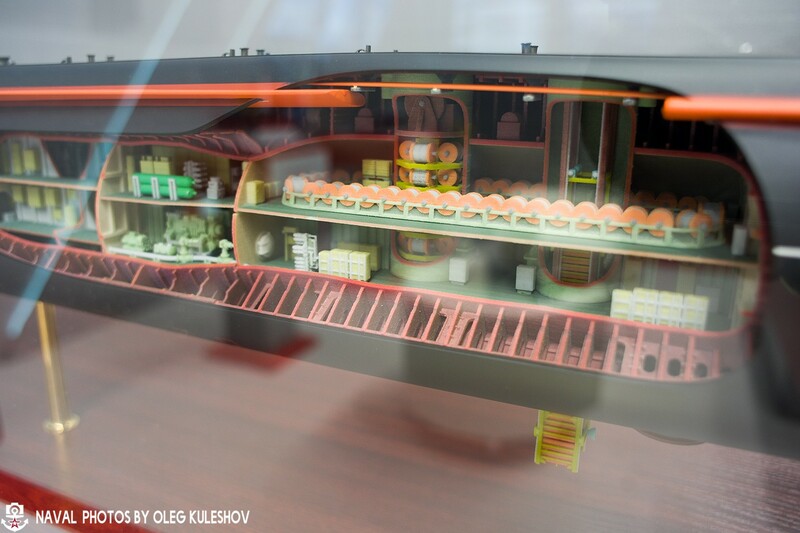 It's not a concept, it is model of BS-64 Podmoskovye, modified​ Delta class. It is undergoing trials right now. There are three commissioned underwater sonar installation platform. BS-136 and BS-64 and AS-12 . The Belgorod will be the fourth underwater sonar installation platform. On the pictures it carry the underwater nuclear battery, and underwater mini submarine. 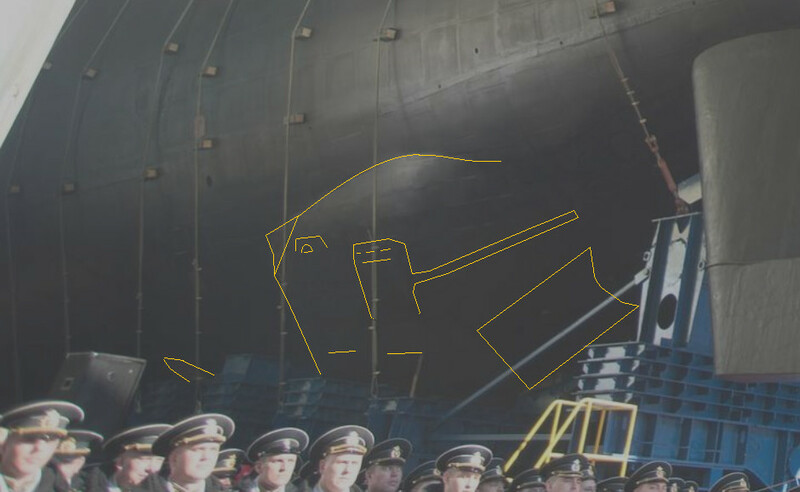 Shes not BS-64 Podmoskovye, as BS-64 is a converted Delta converted as a min-sub carrier (Losharik) and there are plenty of pics of her earlier in this post showing a clear hump leftover from the removal of her missile compartment (which is lacking from the model). Plus her aft has not been remodelled. This model looks to be something different. If its not the Belgorod it may be a concept for a future Kalmar/Delfin conversion once the Borei numbers are sufficient to allow retirement of an old boomer? two 'covered' floating docks for storing and servicing special purpose subs. Old badge didn´t show P-700´s either. MOSCOW, April 23. /TASS/. 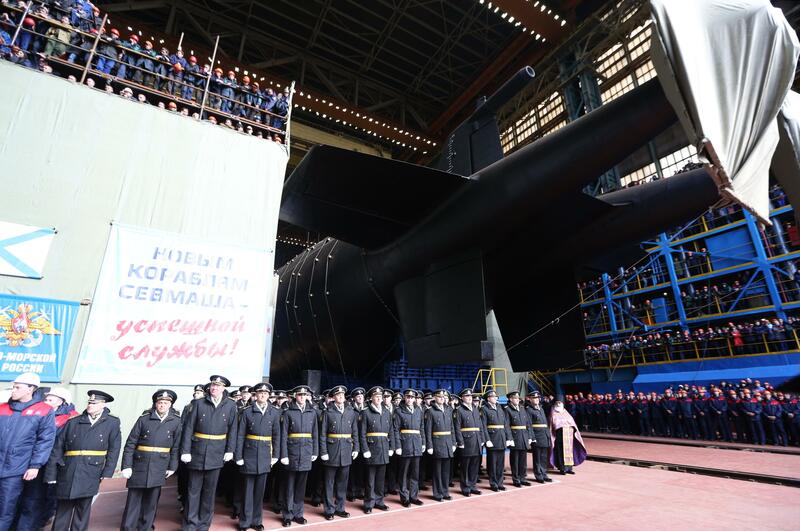 The Sevmash Shipyard in Severodvinsk in the northern Arkhangelsk Region is set to float out the special-purpose nuclear-powered submarine Belgorod on April 23. TASS has put together material on this ship. The Belgorod is a nuclear-powered special-purpose and research submarine. Its exact operational characteristics have been classified. 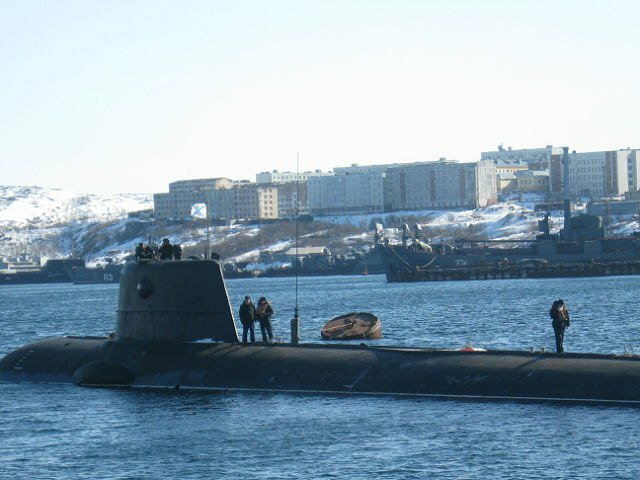 Russia’s Defense Ministry did not officially comment on media reports on this submarine. The shipbuilders are building the submarine based on an incompletely constructed Project 949A ‘Antey’ nuclear-powered underwater cruiser. The submarine was laid out at the Sevmash Shipyard on July 24, 1992 but its construction was suspended in 1997. 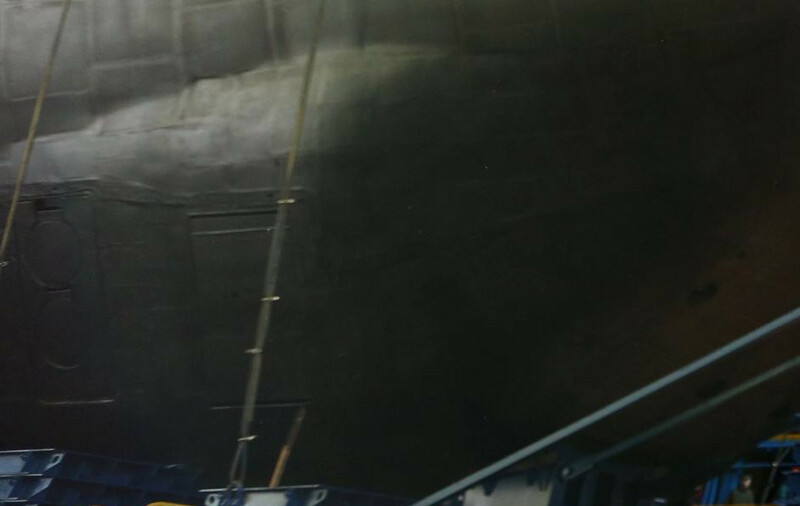 In the 2000s, attempts were made to restart work on completing the sub’s construction under the improved Project 949AM but a lack of financing frustrated this effort. In the early 2010s, a decision was made to rebuild the Belgorod under the new Project 09852 developed by the Rubin Central Design Bureau for Marine Engineering (St. Petersburg). 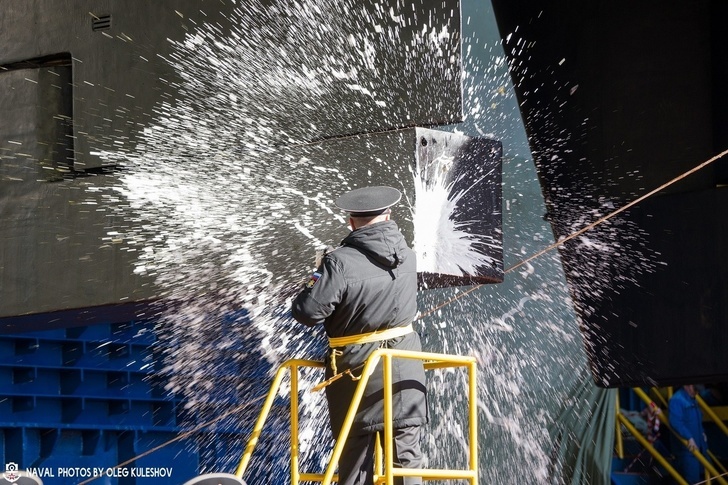 The renewed keel-laying ceremony for the sub under construction No. 91664 was held on December 20, 2012 with the participation of Admiral Viktor Chirkov (the Russian Navy commander-in-chief in 2012-2016). Initially, Russia’s United Shipbuilding Corporation (USC) and Sevmash stated in their press releases that the Belgorod was a research submarine intended to carry out diverse explorations in distant areas of the World Ocean, take part in search and rescue operations, provide for installing underwater parts of equipment and conduct their inspections, test new types of research apparatus and monitor underwater transport routes. As reports suggest, the nuclear-powered submarine will be the carrier of rescue deep-water and autonomous underwater drones. The Russian daily Izvestia reported on April 21, 2017 citing the Navy’s command that the Rubin engineers had re-designed the sub’s central part. As the daily’s material suggests, instead of the missile compartment, the engineers have designed a new and longer hold for special equipment and airlock chambers for divers and the crews of deep-water submersibles. Izvestia observer Dmitry Litovkin specified at the time that the sub’s re-designing would increase its length from the initial 154 m to 184 m (11 m more than the Soviet largest Project 941 ‘Akula’ sub). 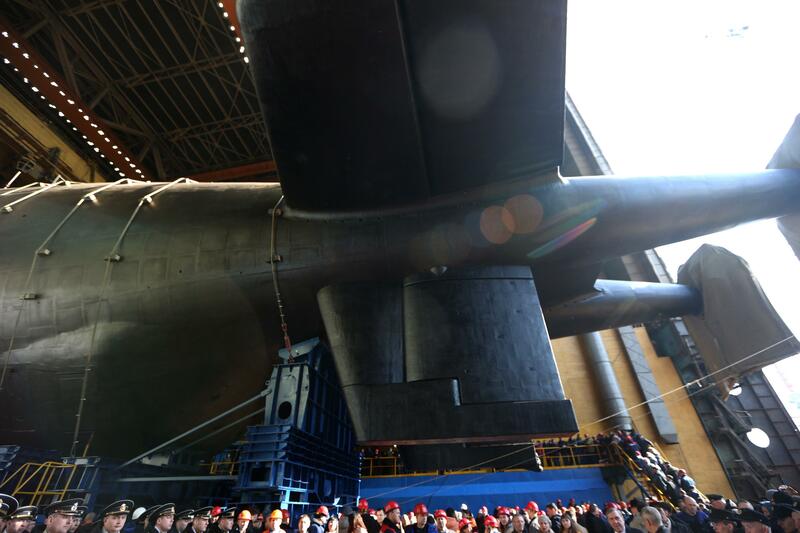 Thus, the Belgorod will become the Russian Navy’s largest submarine by its length. On November 1, 2015, Russian central TV channels delivered reports from a government meeting in Sochi on the development of the country’s defense industry, showing the presentation of "the Status-6 ocean-going multi-purpose system" designated to "strike an enemy’s important coastal economic facilities." 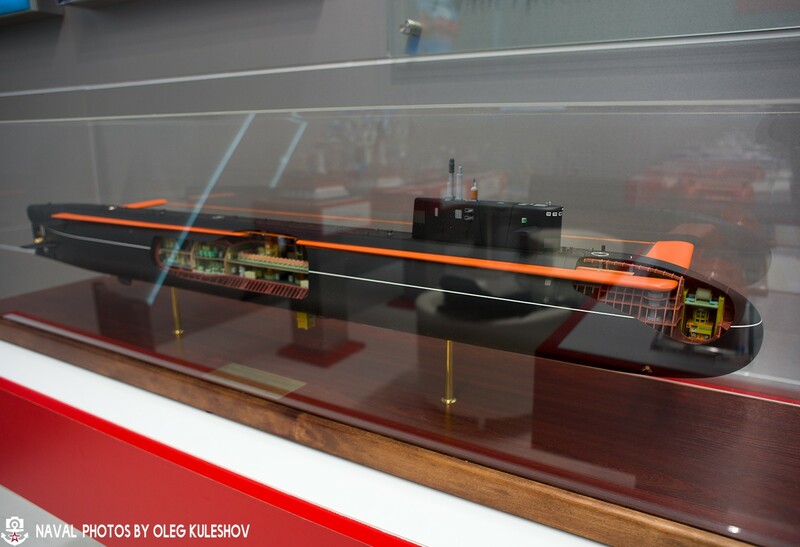 The presentation pointed to the Belgorod and Khabarovsk submarines that were being built as the carriers of this system. No official comments followed. On March 1, 2018, Russian President Vladimir Putin announced that Russia had created a deep-water nuclear-propulsion underwater drone. On March 22, the autonomous underwater drone was named Poseidon, following the results of open voting on the website of Russia’s Defense Ministry. Poseidon underwater drones have an intercontinental-range capability and can be armed with conventional or nuclear munitions. 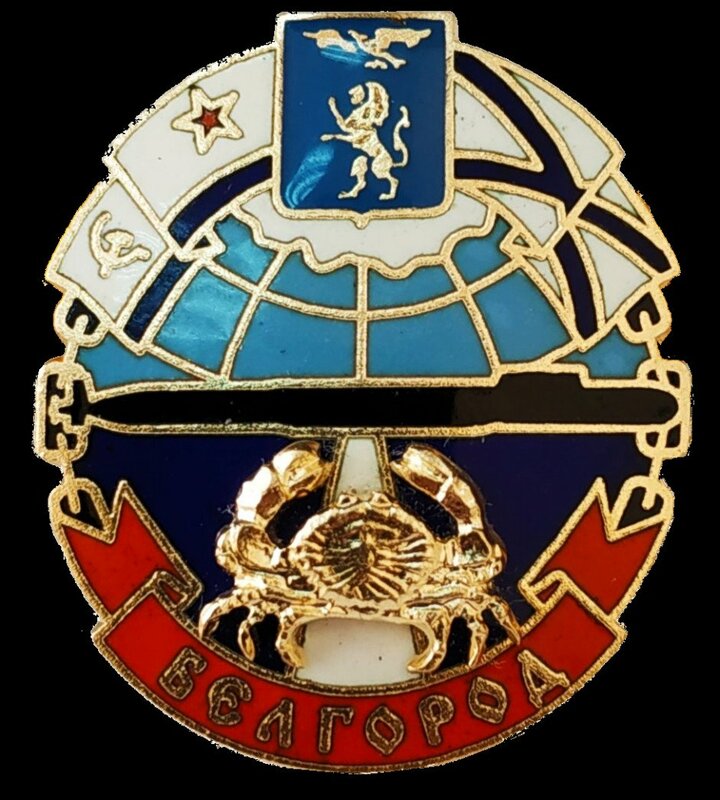 In November 2018, Russia’s Defense Ministry reported that the Belgorod sub’s crew had been formed. 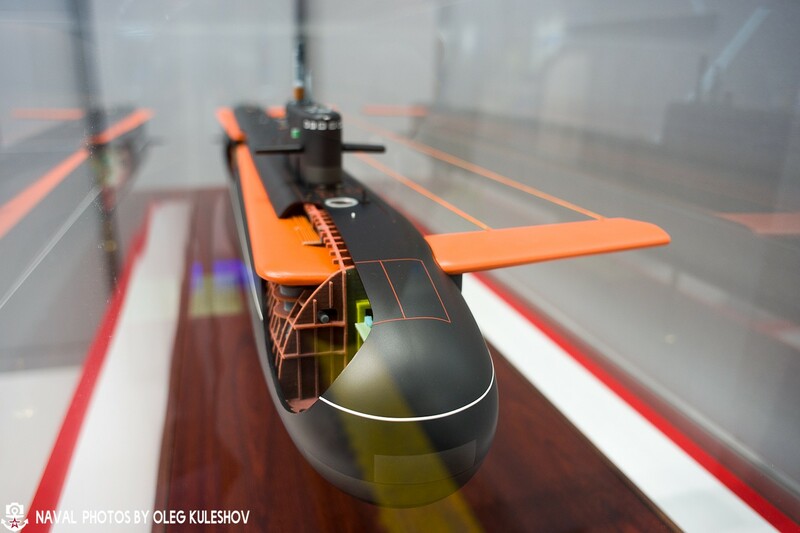 On February 20, 2019, Russian President Putin announced in his State-of-the-Nation Address to the Federal Assembly that the first submarine, the carrier of the Poseidon underwater drone, would be floated out in the spring of 2019. Presumably, the Poseidon has been developed as a result of R&D work under the Status-6 program. 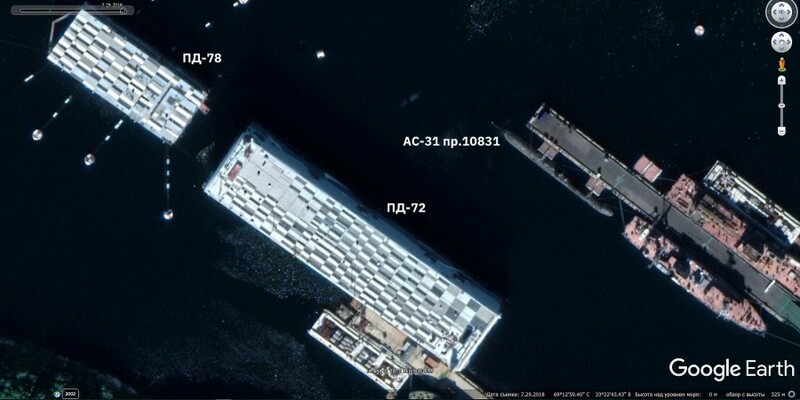 A source in the defense industry told TASS on April 12, 2019 that the Belgorod would be floated out in Severodvinsk on April 23. The source specified that the sub would be the first carrier of Poseidon drones. Another source in the defense industry told TASS that the new submarine would be able to carry six strategic underwater drones. 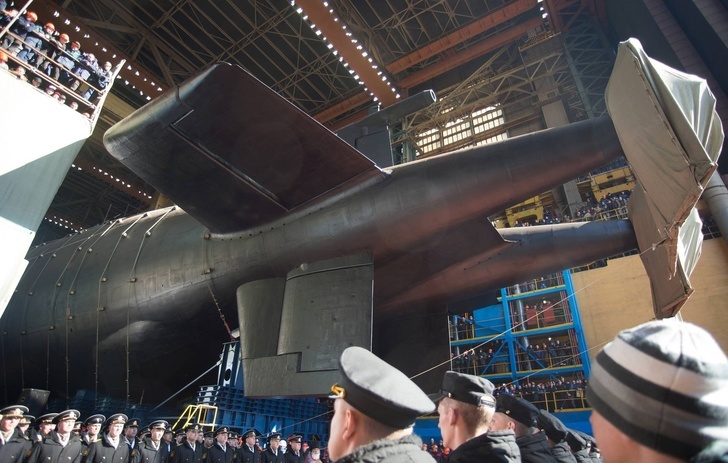 The completion of the submarine’s construction afloat, the tests of its nuclear reactor and its dockside trials are expected to be implemented during 2019. A TASS source said the Belgorod would undertake shipbuilders’ sea and state trials in 2020, after which it would be delivered to the Navy by the end of that year. Chonky rudder bottom for sitting on seabed?